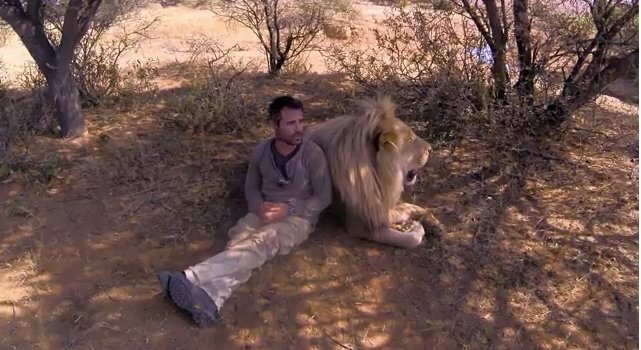 This video – which is a bit of a long watch – taught me quite a bit about both lions and hyenas. Did you know that the highest ranking male hyena still ranks below the lowest ranking female? That’s to much of a matriarchy for me. I don’t want women to run everything any more than I want men to run everything. On the downside here, I’m guessing this guy is probably pretty stinky after all that rolling around with wild animals. Also, he might have fleas. On the upside, how cool is he? He’s cuddling with them and scritching their chins! I wish I could play with lions and hyenas, and scritch their chins. I’d be the most interesting person at the party. I’m never the most interesting person at the party, dammit. Also, he’s trying to raise awareness to the fact that all these lovely wildlings are disappearing from Africa. Sad.